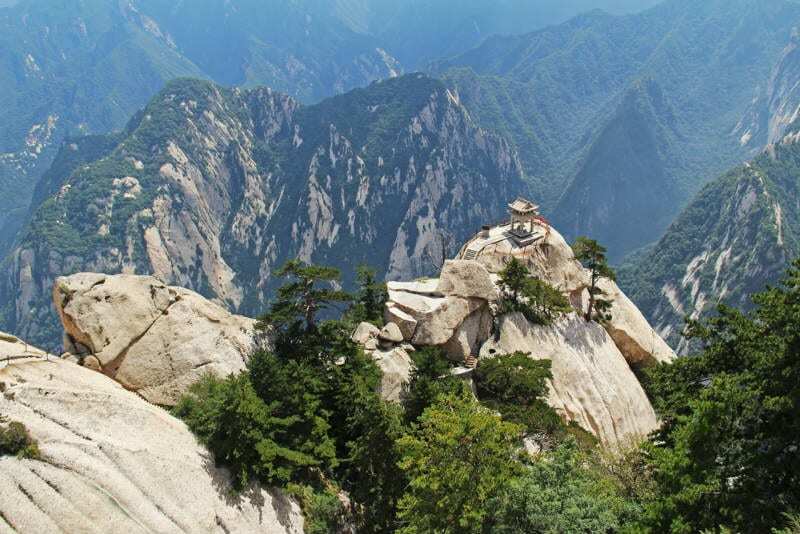 Of The Five Great Mountains in China, the Mount Huashan plank walk probably boasts the scariest ascent. At times the hike consists of nothing more than foot holds in the rockface. The mountain has 5 peaks and this particular trail takes you to The Chess Pavilion (see featured image) which sits between the east and south peaks.